CopyCraft is a family business run by Jennifer and John and inspired by their son. They have a great holiday sale going on right now through November 29 . . . 25% off your order by entering the code HOLIDAY2010 at checkout. Check out some of their fun printable kid-friendly gift ideas. 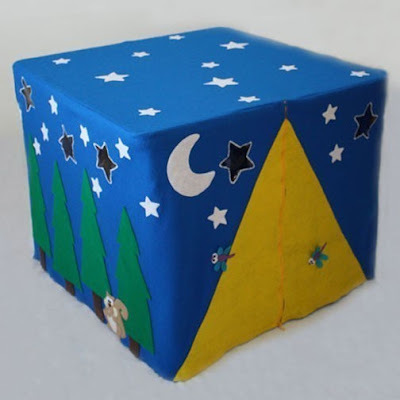 One winner will receive the CHRISTmas Advent Calendar Tree - ePattern which includes full instructions and pattern pieces to make your own Advent Calendar. 1) Be or become a twelve crafts follower. 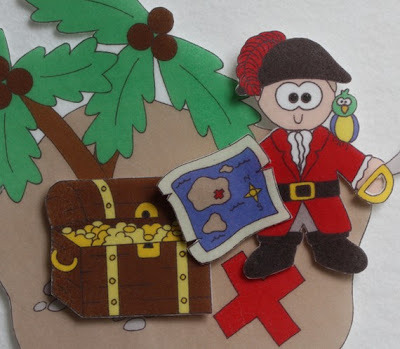 2) Stop over at CopyCraft and find an item you like. Then come back and tell me about it. 4) Leave a comment telling me your favorite way to spend Christmas Eve. **Giveaway end Tuesday, November 30, 2010 at 10:00 PM (CST). Winner will be sent the pdf file on Wednesday, December 1, 2010. Remember this giveaway gives you what you need in a pdf file to make your own Advent Calendar. You will not receive items already printed and assembled. Hmm, favourite way to spend Christmas Eve? It used to be sharing dinner with my parents (we're German descent, but we always had a Chinese feast! ), but now that we have kids, the evening is spent basking in their excitement, singing carols, telling Christmas stories -- including THE Christmas story! -- and tucking them into bed for sweet dreams. My favorite way to spend Christmas Eve is to have a nice family dinner and then get dressed up to go to the Candle Light service at church. It is simply AMAZING!!! I LOVE the DoodleBug portable art book! What a great idea!! The quiet books are AMAZING as well! I hearted the Doodlebug Portable Art Book on Etsy. One of my favorite Christmas Eve traditions from growing up is that my Mom would buy my sister and I a new keepsake ornament every year for the tree. As our family headed to candlelight Christmas Eve service at church, my mom would lag behind and sneak the ornament onto the tree somewhere. When we came back, my sister and I would search to find it. My mom always told us that "The Christmas Elf" left these ornaments for us. We were always so excited to see what the Elf left for us hiding on the tree! My boys are just old enough now to catch onto this one, so we are starting it with them, too : ) When my sister and I got married, we took all our Christmas Elf ornaments with us as our starter set. The tent with the star windows is so, so cool! My favorite item is .Daisy Lane Dolls - ePattern for a Portable Dollhouse. My daughter would love it. I "heart"ed the .Daisy Lane Dolls - ePattern for a Portable Dollhouse in the Etsy Shop. My favorite way to spend christmas eve is with my entire extended family like we have done since I was little. We get together, eat, and have fun! I love the advent tree! 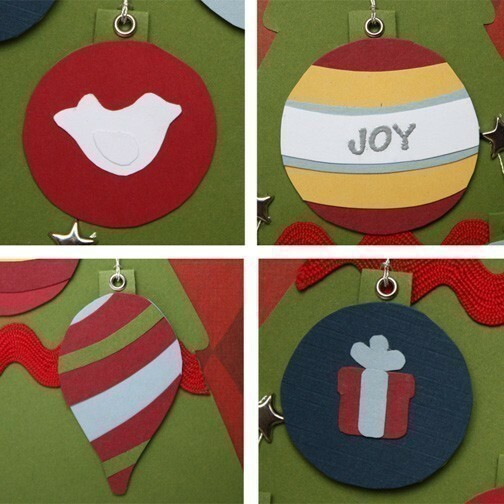 I follow Twelve Crafts - and love the ideas! I love the advent tree! In fact, I'm getting ready to make an advent calendar for my kids in the next few days! 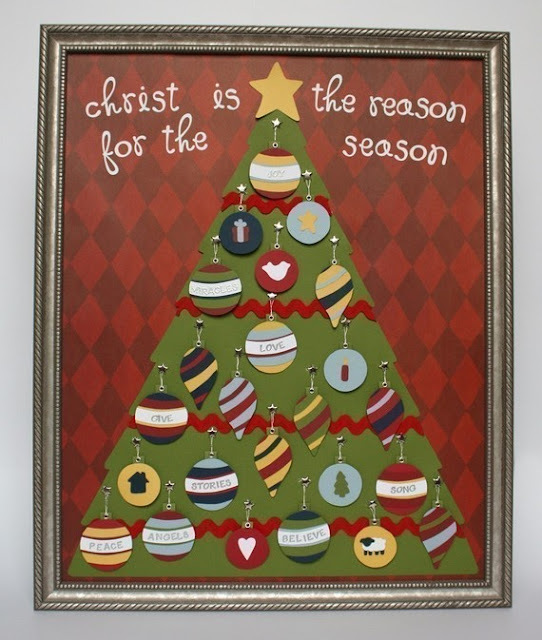 I hearted the tree on etsy! My favorite way to spend Christmas Eve is by having a crap ciopinno feast with my family. My dad, of all people, starting this tradition 3 years ago and we look forward to it every year. ...and I cherish going to the candle-lit evening service at church. Opening stockings and wearing new pj's is how we like to spend Christmas Eve! My favorite way to spend Christmas Eve sorting through presents for my daughter and setting them up just so. I love spending Christmas eve with family, watching Christmas movies, drinking hot chocolate, and opening presents. I love going to church w/ my hubby and girls on Christmas Eve! I'd love another Christmas Eve like last year. An afternoon of sledding in falling snow, church, soup, & a movie with family. I hearted the Chrismas Advent-Too Cute!! I have entered all 4 giveaways and THIS one is my FAVORITE!! Happy Holidays!! I like the books the best!!! 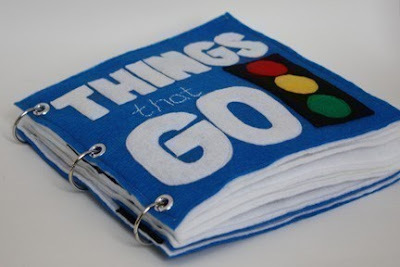 I like the .Things That Go - ePattern for a Toddler's Quiet Book. Christmas eve is my favorite - we attend a church service, then get together will extended family. I am a TC follower. I love the main street epattern! My favorite way to spend Christmas Eve is curled up with my husband and our dogs while enjoying the last pieces of downtime until the morning. I would love to have the Games to Go pattern. Our favorite Christmas eve activity is having my family over for a meal and our gift exchange. I added the Games to Go to my favorites list. I went over to CopyCraft. I love her quiet books, especially the Games to Go. I love doing our annual Days of Surprises on Chrismas Eve. I love her counting cookies, cute idea. yum! Well, we allways spend christmas eve with my parents or with my parents-in-law (alternated). I would love to have them all at my house but it's not possible yet. I love the Daisy Doll book pattern - my daughter would love it! I heart(ed) the item I really liked on etsy. My favorite way to spend Christmas Eve is to watch "White Christmas" with my family and have lots of finger foods! This is so sweet! I'm a follower! In the shop I really like the Felt Nativity pattern. That is really sweet! I "hearted" the item in the shop. Christmas Eve is spent at my parents' house with lots of goodies for lunch and a Christmas program put on by my children for the rest of the family. After we get home and get the kids in bed, hubby and I get our the tree and decorate the house for the children to wake up to on Christmas morning. So fun! I like the felt playsets. My favorite is the barn and animals. We go to church on Christmas Eve and then open one present! Love the christmas tree e pattern...wish I had time to do it! Christmas Eve is a wonderful family time with midnight mass and returning home to watch the children open gifts. Close family moments and fun had by all!